Bring together a theme of beauty and style in a room of your home with this stunning wall clock from our collection of home accessories. 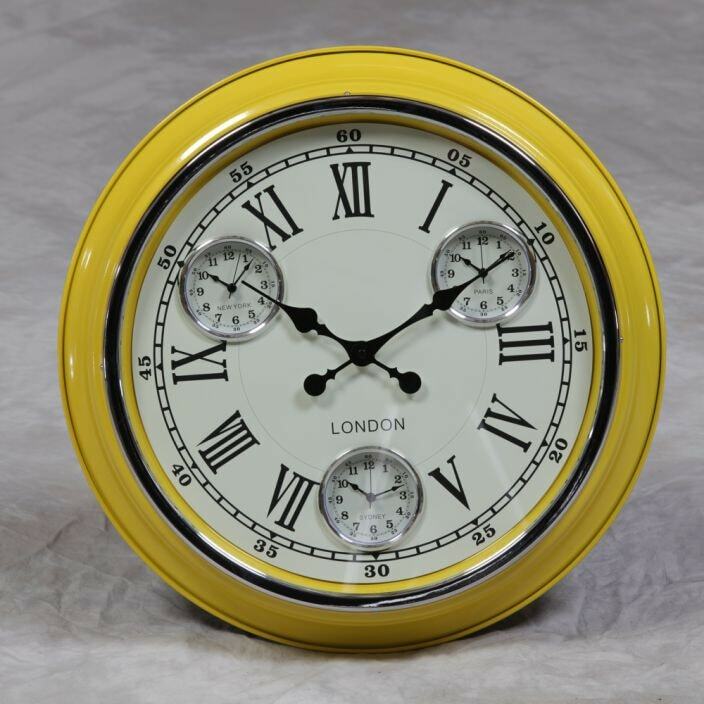 Finished in a luxurious yellow and featuring 3 multi-dials around "London" text. This clock is both practical and beautiful.